With all the benefits of meditation, it’s no wonder why millions of parents from all over the world are teaching their children how to meditate. However, the right age-appropriate techniques should be taught to children so they are able to experience deep meditation almost effortlessly. Children under the age of 8 don’t need much meditation training. It’s much more important for their parents to meditate. After the age of 8, the personality of the child has formed and many changes begin to occur in the child’s brain. The objective of meditation for children between the age of 8 and 14 should be to support a balanced physical and mental development. The technique that is most appropriate for them is often deep breathing combined with five to ten minutes of silent meditation. It’s also very important that you demystify the process and introduce simple awareness techniques. You should also prepare a meditation room for your child that is free from all distractions and where your child can simply sit in stillness and meditate. While children usually have more trouble emptying their thoughts from their mind than adults, it’s very important that you tell your child to empty her mind. Children have many thoughts in their minds at all times, so it’s very important that you tell them the importance of emptying their minds during meditation. 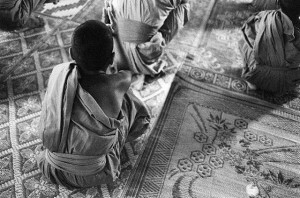 After the age of 14, adolescents should start practicing more traditional forms of meditation. Mindfulness Meditation, Transcendental Meditation (also known as TM) and Loving Kindness Meditation are excellent choices for adolescents.